Saga Kakala is an iconic Icelandic accessories brand created by Ingibjörg Gréta Gísladóttir. The brand derives its name from 13th century Chief Thordur Kakali, who was popular among his people for improving quality of life. 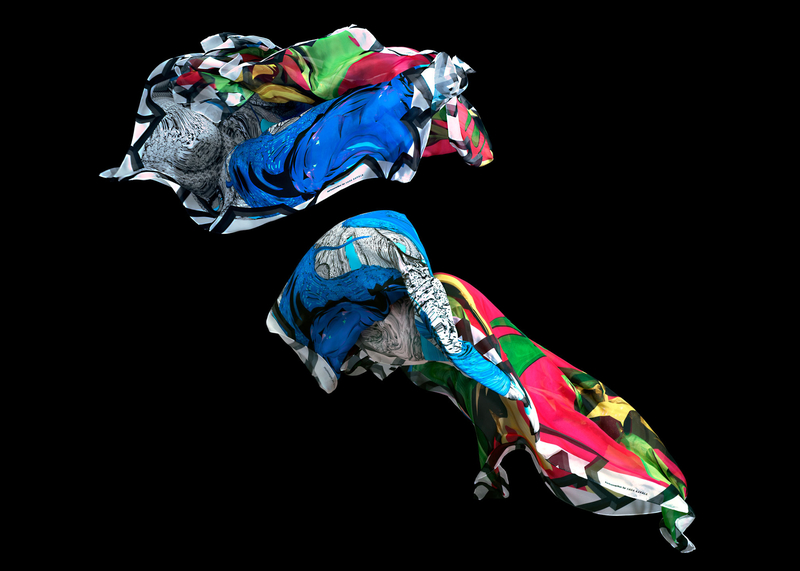 The brand approached us to create a collection of silk scarves. Our process consisted of learning the properties of different silk fabrics and production, as well as a focused, playful exploratory of hundreds of sketches before landing on six designs, consisting of 3D distortions, shapes, and asymmetric volumes, each within a distinct colorway, all framed by the same device. The prints are a product of our studio’s explorations into abstract CG imagery.